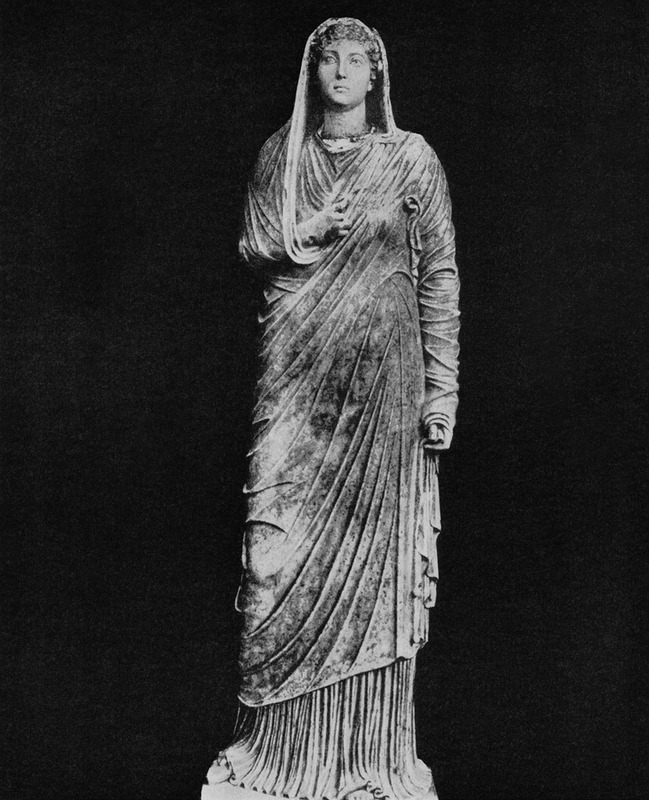 Statue of Livia from the Villa of Mysteries. Marble. Late 1st century BCE — early 1st century CE. Found in the excavations of the Villa of Mysteries in Pompeii. © Photo, text: N. N. Britova, N. M. Loseva, N. A. Sidorova. Rimskii skulpturnyi portret. M., “Iskusstvo”, 1975, s. 32, ill. 37.